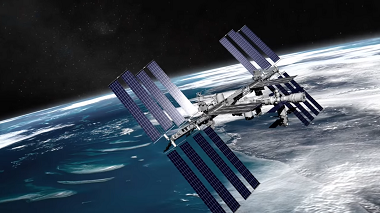 Mouser Electronics Inc. and Grant Imahara on May 3, 3017, released official footage of the winning design of the International Space Station (I.S.S.) Design Challenge being 3D-printed in space. The winning design, a femtosatellite launcher, is now in orbit and available for astronauts to launch femtosatellites in zero gravity. The latest video episode of Mouser Electronics’ Empowering Innovation Together program highlights the official 3D-printing of engineer Andy Filo’s winning design and explains how astronauts may use the device in space. Femtosatellites are tiny satellites (about the size of a postage stamp) that weigh less than 100 grams. Scientists can use femtosatellites in many different missions and applications, including monitoring disasters, cosmic rays, and coronal events. Filo’s femtosatellite project was chosen from 242 entries, and then digitally transmitted to the I.S.S., where it was 3D-printed on April 3 by ‘Made In Space’s Additive Manufacturing Facility (AMF) — the first commercially available off-world manufacturing service. ‘Made in Space’ and Filo made some last-minute modifications after I.S.S. received the original design, rounding the handle to increase usability and comfort and further editing the design to increase the printing speed. A previous video features celebrity engineer Grant Imahara and Andy Filo as the two visit the Made In Space 3D-Printing Lab at NASA’s Ames Research Center. The video provides a detailed overview of the winning design, as well as the second- and third-place projects. The I.S.S. Design Challenge is one of several innovative series in the Empowering Innovation Together program, which features the Innovation Lab for new projects ranging from bringing superhero technology to life to 3D printing a semi-autonomous car with drone technology. Mouser’s valued suppliers Amphenol and Intel were co-sponsors of the I.S.S. Design Challenge. Mouser also partnered with the Institute of Electrical and Electronics Engineers (IEEE), ‘Made In Space’, and MacroFab.